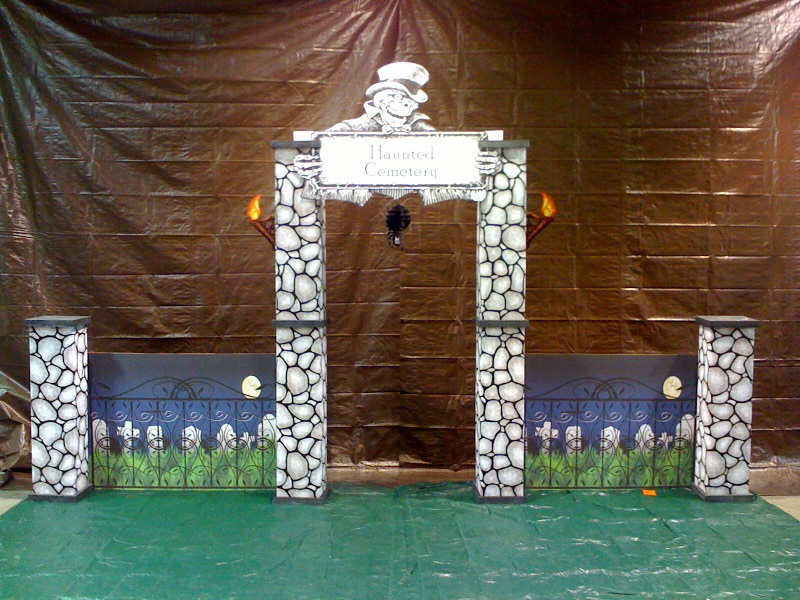 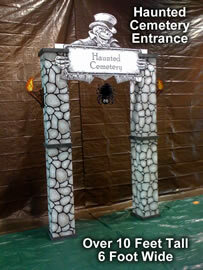 Haunted Cemetery Theme Kit Entrance - Cardboard Prop - Dino Rentos Studios, INC. 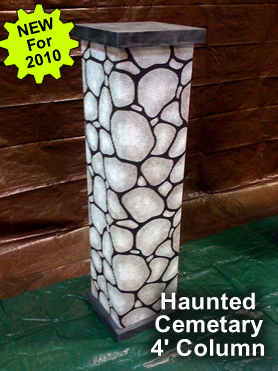 This full Cemetery kit is just over 10 feet tall and 6 feet wide. 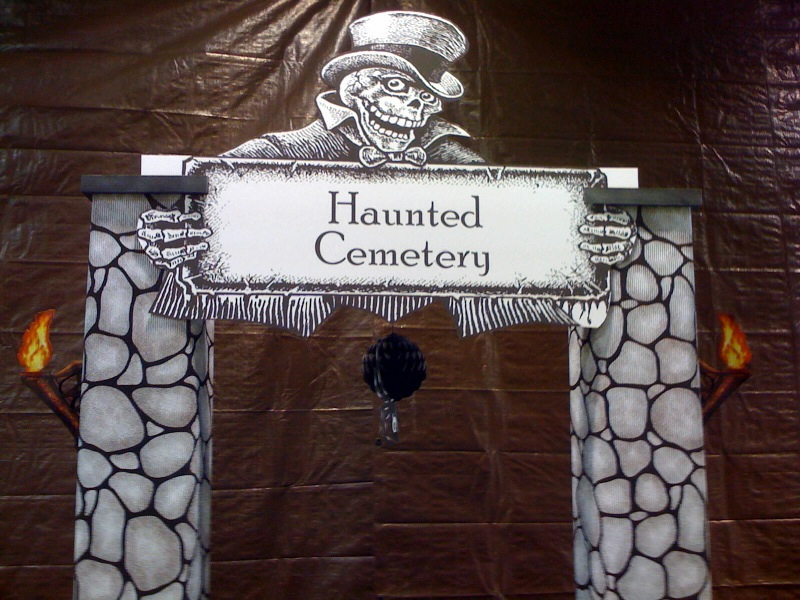 The kit comes with all the pieces to assemble the Halloween cemetery in approximately 30 Mins.